With six courses available, the Cincinnati Recreation Commission golf courses have the ideal venue for your next event - corporate outings, fundraisers, family and community gatherings. To spend less time planning and more time practicing for your event, please contact Paul Schildmeyer, Director of Sales, at 513.290.5937, or fill out the form to your right to request more information. You can also stop in and see one of our Head Golf Professionals today! The Glenview Back Room Banquet & Event Center, centrally located to anywhere in Cincinnati, offers you a unique, natural setting amongst a beautiful 27 hole golf course, unlike any other venue in the area. With 3,000 square feet of banquet and conference space, a large covered deck and additional outdoor seating, the Glenview Back Room will be perfect for hosting your next event. We will meet your every need with full-service catering and a fully stocked bar, including beer, wine and spirits. Menus can be tailored to meet your exact needs. The Glenview Back Room can accomodate your group up to 120 for a sit-down dinner, and up to 150 for a standing cocktail reception. A great place to host your next family, friend, work or social party! Golf may be included in a variety of ways for any function. Rental fees vary according to the size and timing of your event. For more information please contact Paul Schildmeyer, Director of Sales directly at 513.290.5937. 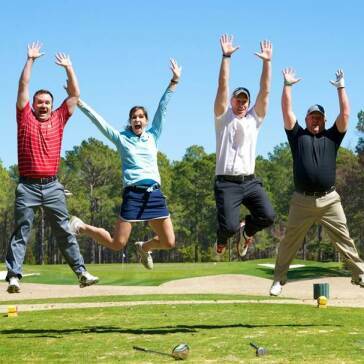 Are you a member of a travelling group of golfers or a corporation looking for an option for a team building event? If so, the CRC Golf Courses have the perfect outing special for you! 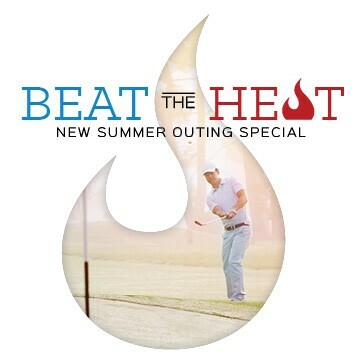 ● Offer includes 18 holes of golf with cart, lunch at the turn, on course contests and prizes. 16 players or more required. Outing must be contracted from now until August 5th, 2016 and event must be played Mon-Thurs in the months of July and August of 2016. Offer Expires August 5th, 2016. Please submit and outing inquiry below or call our Outing Sale Coordinator, Paul Schildmeyer at 513.290.5937 for more details. Thanks for your interest in hosting your next outing or tournament with the Cincinnati Recreation Commission. A member of our professional staff will be in touch with you shortly.